I won't lie. As much as I liked Gravity Falls when it debuted on the Disney Channel in 2012, I began to love it immensely when I met Kristen Schaal (voice of GF's Mabel Pines) at the D23 Expo and she gave me drink recipes. Hey, my loyalties can be bought for the price of a cocktail. I am not ashamed. But seriously, this is really fun show. 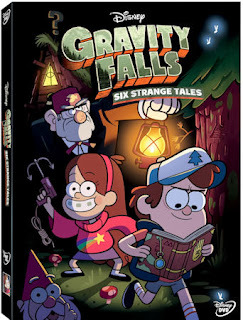 Gravity Falls finally comes to DVD on Tuesday with Six Strange Tales (the first six episodes of the series actually) and it's a great introduction to the odd folk and creatures of Gravity Falls, the mysterious backwoods Oregon town where 12-year old twins Dipper (Jason Ritter) and Mabel Pines spend the summer with their grumpy charlatan of a great uncle, "Grunkle" Stan (series creator Alex Hirsch). There are bizarre things to investigate at every turn as ever-curious Dipper and ever-optimistic Mabel unlock the secrets of angry gnomes, giant lake monsters and wax figures come-to-life with the aid of a mysterious journal that may hold the key to even bigger secrets. 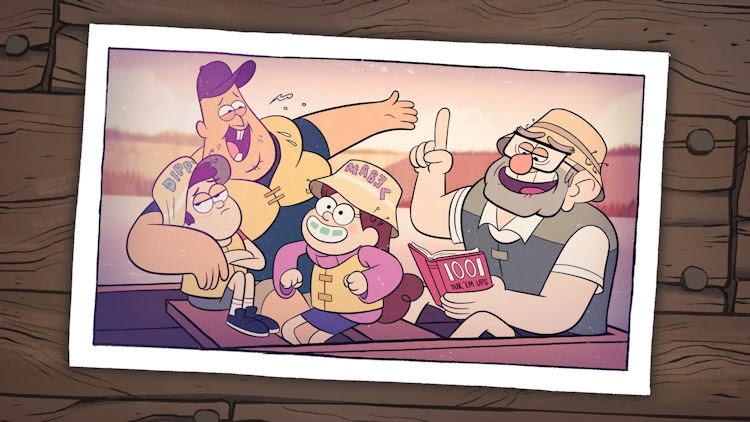 It's all in good fun with irreverent humor and oddball characters that make Gravity Falls one of the most original animated shows on TV. 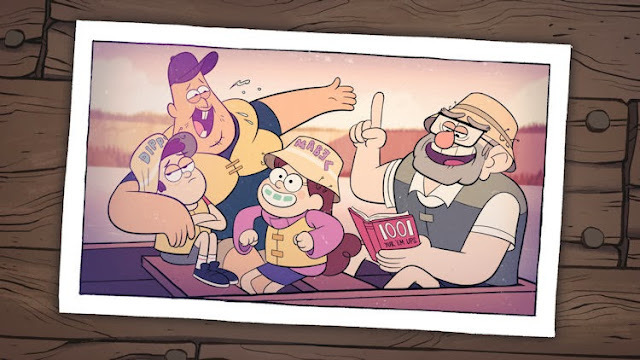 The package also includes a "Mystery Journal 3" booklet containing sketches and clues to the secrets of Gravity Falls, but mostly it's just a lot of illegible scribbles. Hey, they can't give everything away--it's only season one. Just, remember...TRUST NO ONE!